I’d like to jump on the bandwagon for this week’s Travel Theme … Food. Yummy. I’ve been around the world a few times and have sampled some of the greatest and, not so great dishes our planet has to offer. 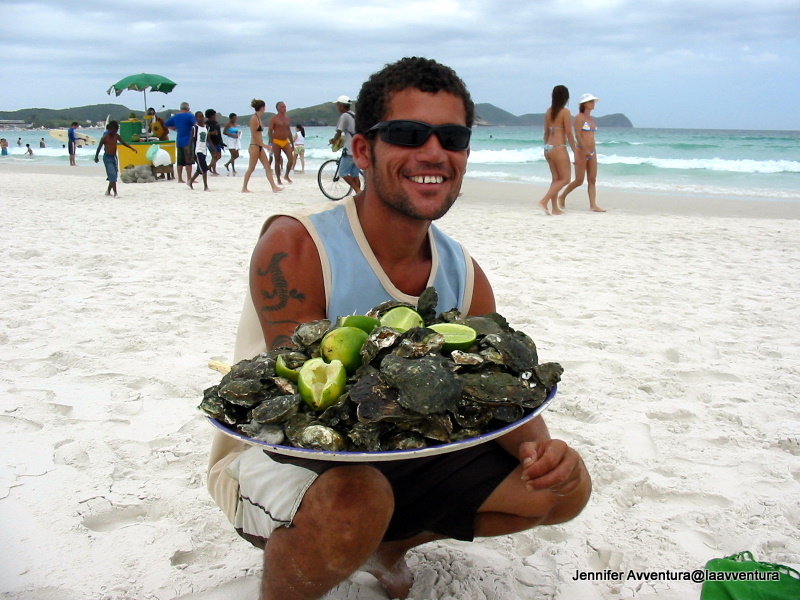 A nice young man selling freshly caught oysters with a lime zest in Cabo Frio, Rio de Janeiro. I said no thank you to these critters, who knows where they came from and how clean they are! Nothing beats good ole home-cooked barbecued spare ribs. Bring it on Canada. Holding true to tradition in Sardinia, Italy is handmade Canestre by a Canadian! You can read more about this special treat in my post here. My Mom (who was born in England) has been making this banana bread for the better part of my life. She passed the recipe down to me when I was finally mature enough to measure stuff and turn the oven on. This is an all time favourite in our house, the recipe has now been handed down to my ten-year old niece who loves to chat to me on Skype about it. 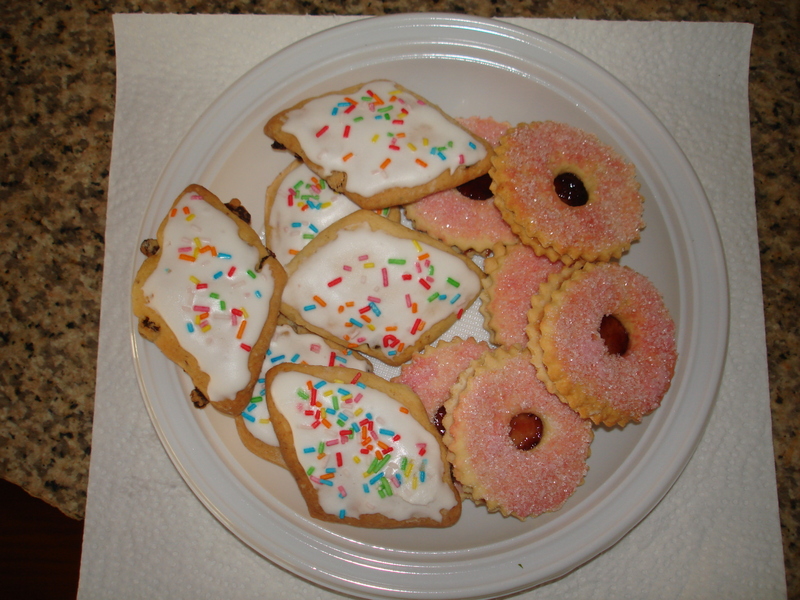 Traditional Sardinian cookies handmade with love by my island friend. These are made around important religious holidays and given to the church, neighbours, family and friends. They are divine. More of the beautiful Sardinian tradition. Such detail and elegance. Chomp. 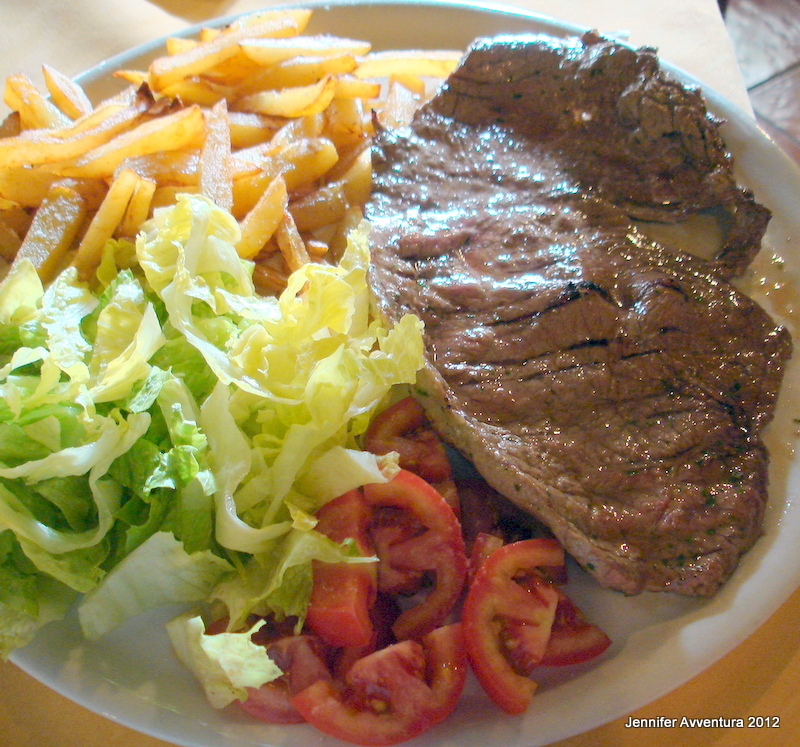 Cooked to order – Horse meat in Sardinia, Italy. Click here to read an eye-opening post on horse meat consumption around the world. And no … I have not and will not try this tradition. You? 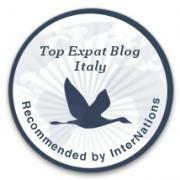 A special thanks to Ailsa over at Where’s my backpack? for a delicious theme this week. Click here to see what other bloggers are eating. There is a lot to like here…but I draw the line at horse meat. 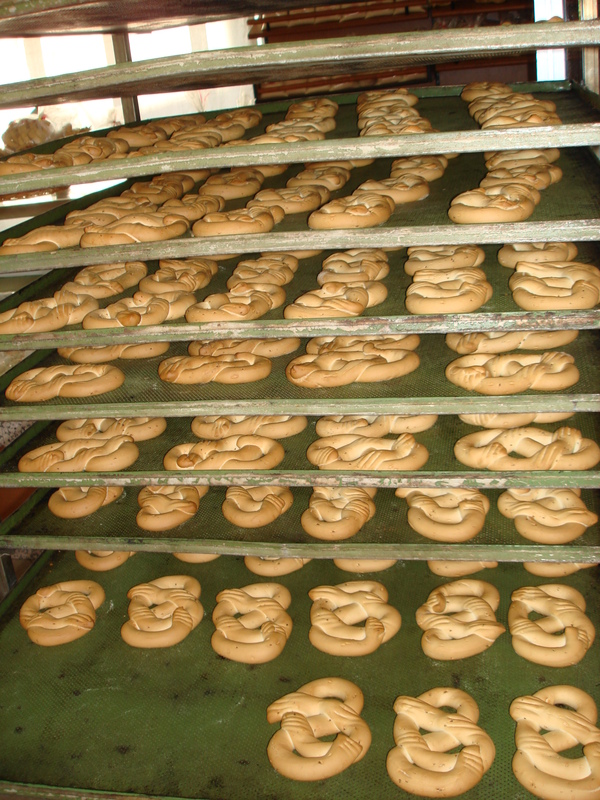 it is a delicacy in Holland as well. I used to embarrass the family when I got teary in the supermarket looking at it. Horse meat can’t be any worse than turtle or dog in China (and no I have not and WILL not eat it.) I have a strict policy to not eat anything cute with a face 😉 or something slimy from the water. Hee hee. 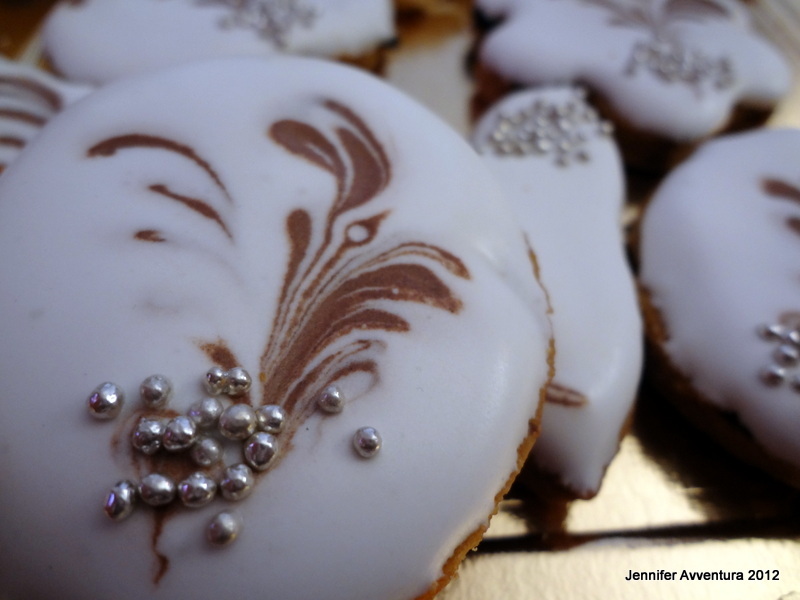 All beautiful – love the iced cookies…. but don’t think I would try the horse meat either! 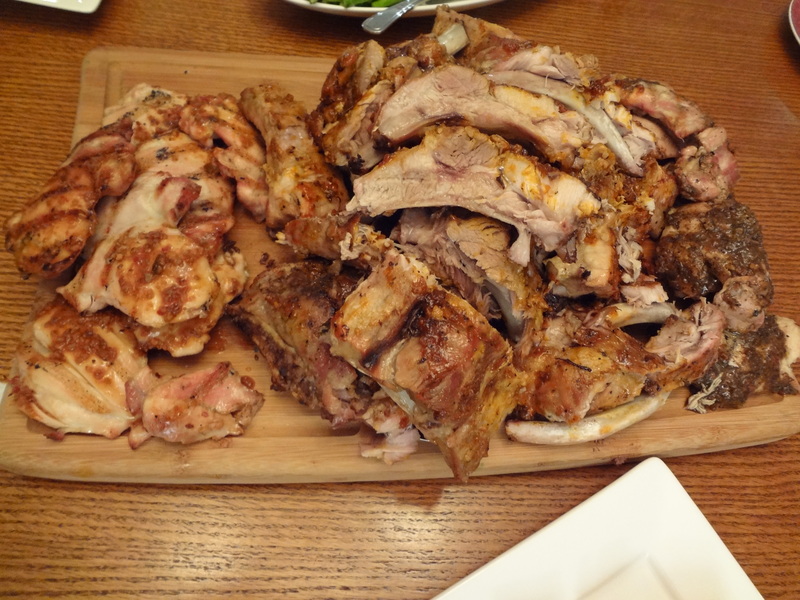 I recognize those ribs! 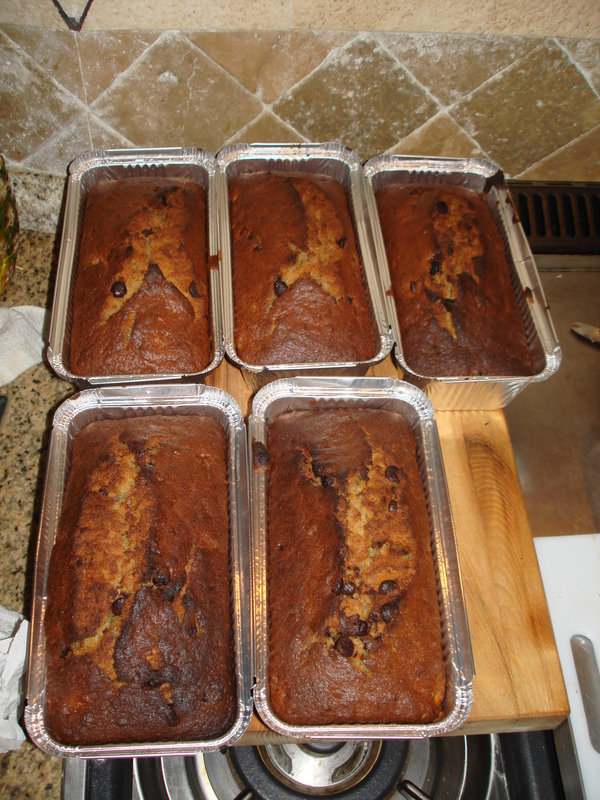 And your nieces made the banana bread this week! Those cookies look delish – any chance your friend can share the recipes?? 🙂 The horse meat, however, will never find its way onto my plate. Gulp. The cookies are the bomb! Im pretty sure I ate the entire plate without sharing. Not sure I can get the recipe, the Sardinian’s hold tight to their traditions. I still haven’t tried horse. Why are we squeamish about this I wonder? Maybe because we think of the house as a pet, not a meal. 😉 I know I do. LOL! It’s something I have no interest in trying. My husband loves it, but he was also brought up on it. As a foodie…I absolutely enjoyed this post! Lovely food photos. No I don’t think I’ll go to that horse meat site thanks. 😉 Those biscuits look gorgeous. I will admit that I have eaten horse sashimi (raw meat) while i have been living in Japan, as well as whale sashimi, and some other sea creatures that fall into the god-awful ugly category, some of these may not have been great, but it was all about the experience of being here. Wonderful entry Jennifer! It makes me hungry that is until I saw the dark colored horse meat and thought neighhhhhhhh. The cookies look amazing! I bet I’d have to run more if I lived in Italy. I love the food so much that I’m certain I’d eat way more than I do here. Yet it is much fresher and less processed than our yucky American fare.